Junior ticket any time of year £10 for under 16 years of age. Juniors must be accompanied by an adult for health & safety reasons. 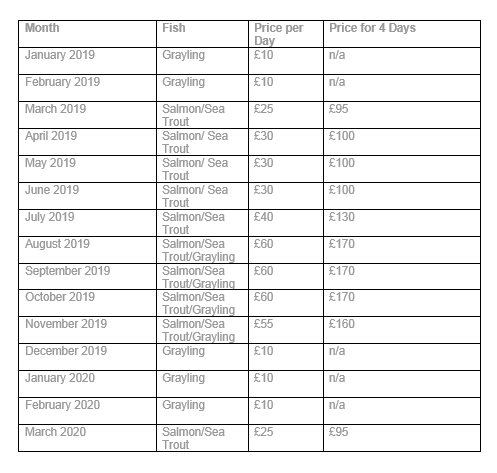 During the sea trout season it is possible to fish between dusk and dawn for just £20 per night.